Fashion did not just come into being as a way of life, it has metamorphosed into a career, a means of livelihood for most as people began to inject different ideas and skills into the endeavor. Rachel Roy is a renowned American fashion designer who has motivated so many folks into towing this lucrative line of business. The ex-wife of Damon Dash has made quite a fortune from this scintillating profession since her buzz break. Rachel Irene Roy was birthed on January 15, 1974, in San Bernardino County, California, and raised in Seaside, California in the faith and doctrine of Seventh Day Adventist Church alongside her brother, Rajendra Roy who serves as the chief curator of the Museum of Modern Art in New York. She is of Indian-American ethnicity and is born to a Dutch mother and a Bengali-Indian father. She attended Seaside High School in California before attending Columbian Union College, also known as Washington Adventist University in Takoma Park, Maryland, where she majored in Psychology and English. She left the school in 1996 and moved to New York where she briefly worked as a wardrobe stylist, working for several music videos and magazines before joining Jay-z’s fashion label, Rocawear as an intern. After showing so much passion and dedication in what she was paid to do, she got promoted to the post of creative director of the women and children’s division. In 2004, with the knowledge and experience garnered from Rocawear, she launched her first personal collection. The height she attained drew much recognition for her which led to her appearance in The Oprah Winfrey show. In 2006, she earned an award from Bollywood industry for her immense contribution to American fashion and the following year, she became an inductee in the Council of Fashion Designers of America. 2008 saw Jones Apparel Group, an American designer, marketer and wholesaler of branded clothing, shoes and accessories form a joint business venture with Rachel Roy’s brand. With her dexterity in transforming a regular T-shirt into an edgy prom dress, she received wide publicity in the teen market and featured in Teen Vogue’s April 2009 issue. By August 2009, she launched another label, the Rachel’ Rachel Roy Collection which specializes in affordable sportswear, shoes, and accessories. The same year, she announced she would collaborate with Estelle, a Grammy Award-winning pop singer to launch a jewelry line for the Spring 2010 ‘Rachel Roy Collection’. Since her rise to stardom, she has worked for the world famous people including Michelle Obama, Kim Kardashian, Wendy Williams, Jennifer Garner, and many more. Her height is reported to be 5 feet 10 inches (1.78 m) by the Healthy Celeb while her body mass is said to be 63 kg (139 lb). Being a fashion designer is a demanding profession, but it sure opens doors for one to meet the glitterati, literati, the rich and famous. The above is possibly the watchword of Rachel Roy’s successful brand and career years at Rocawear where she rose to the position of creative director as well as her series of fashion labels, Rachel has made some fortune in fashion; she has an estimated net worth of $12 million. There is no record available as to the names and dates of birth of Rachel’s parents; maybe it is kept private for a purpose which is still unknown. However, it is on record that her father is of Bengali Indian descent whereas her mother is of Dutch ancestry. In one of her Instagram posts where she celebrated the fathers on the father’s day, she was flanked by her dad whom she is somewhat taller than. From the picture, we can say the talented fashion designer has a quite handsome hottie for a father. Sounds funny, huh? Rachel Roy was a married woman; many sources revealed that she married a hip-hop mogul, Damon Dash but there is no clear date of their wedding. What is known, however, is that the marriage hit the rocks in 2009 following a divorce filled by Rachel. Since their divorce, they have been at each other’s neck through court litigations. 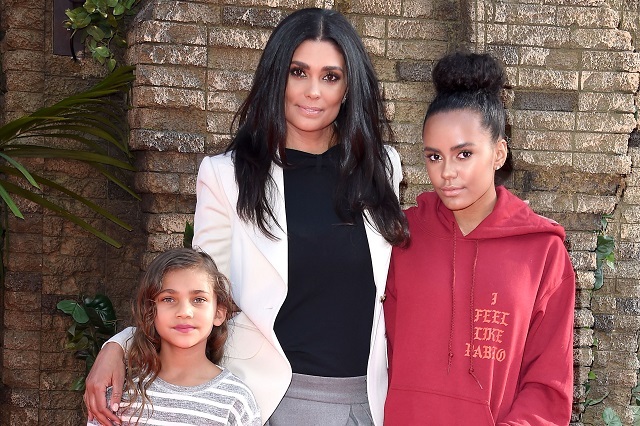 Interestingly, the couple had 2 lovely daughters whom the court in April of 2015, granted Rachel Roy sole physical custody of, a decision that no doubt riled her ex-husband, Damon. Of the two daughters that the union produced, Ava Dash is the oldest, she was born on December 7, 1999, and the second daughter is Tallulah Ruth Dash who was born on May 13, 2008. Ava Dash is currently a model; having been around her mother who is a stylish fashion designer, she desired to pursue a career as a model. Her fantasy finally came through for her in April of 2017 when she inked her first modeling contract with a top boutique fashion house, DT Model Management, a modeling firm owned by famous David Todd. Her sister, Tallulah Ruth, on the other hand, is a growing teenage girl who is keeping her things on the low and away from the media. Both daughters are happily living with their mum and have been spotted in events together stylishly dressed. They attended the 2018 World of Children Hero Awards held at Montage Beverly Hills in Beverly Hills, California in April of 2018. It is noteworthy to know that, this gorgeous mother of 2 was rumored to have had a thing with the famous rapper Jay-Z and was probably the reason behind the 2014 scuffle between Solange Knowles, Beyonce‘s sister and the business mogul in an elevator.